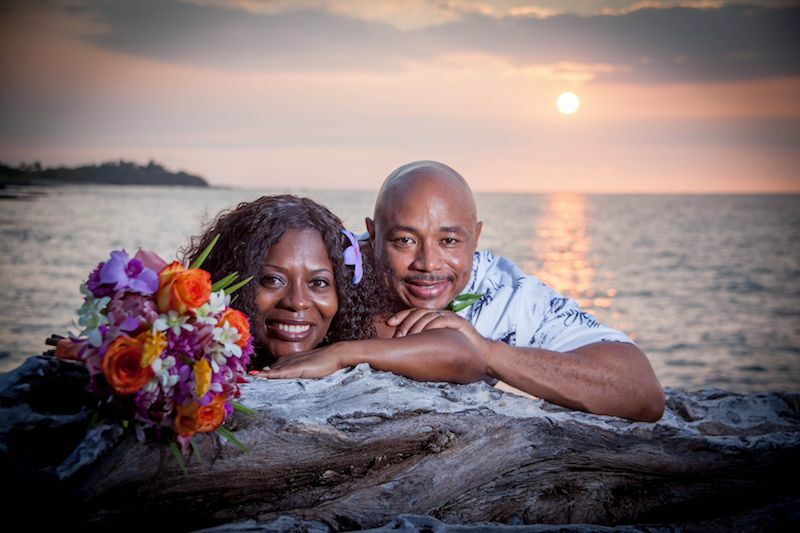 Select one of our affordable Big Island wedding or Big Island vow renewal packages on the budget for as little as $259. 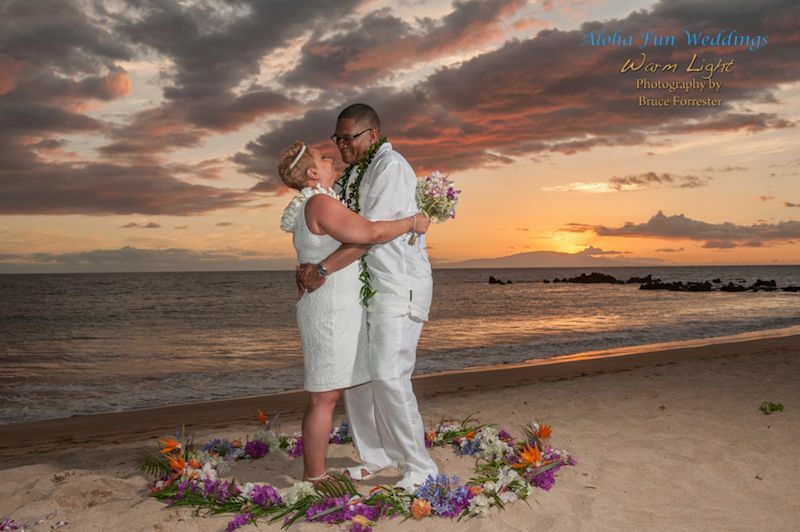 The Big Island is your perfect destination to get married or renew your vows on less crowded beaches than any of the other Hawaiian islands and we are your local wedding planner to assist you and prepare for you a stress-free and romantic celebration fo your love to each other. 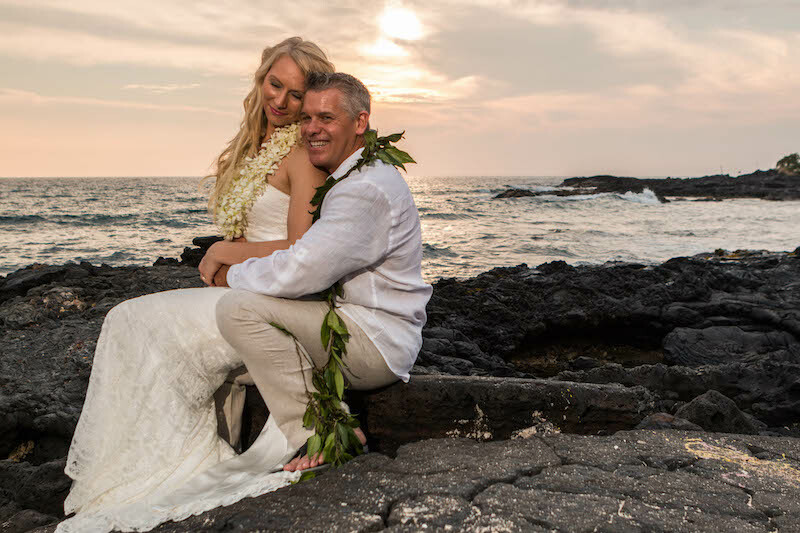 The Big Island is well known for its stunning white sandy beaches with crystal clear waters, romantic sunsets and beautiful popular locations for weddings and vow renewals such as the Kohala coast with its beautiful beaches. 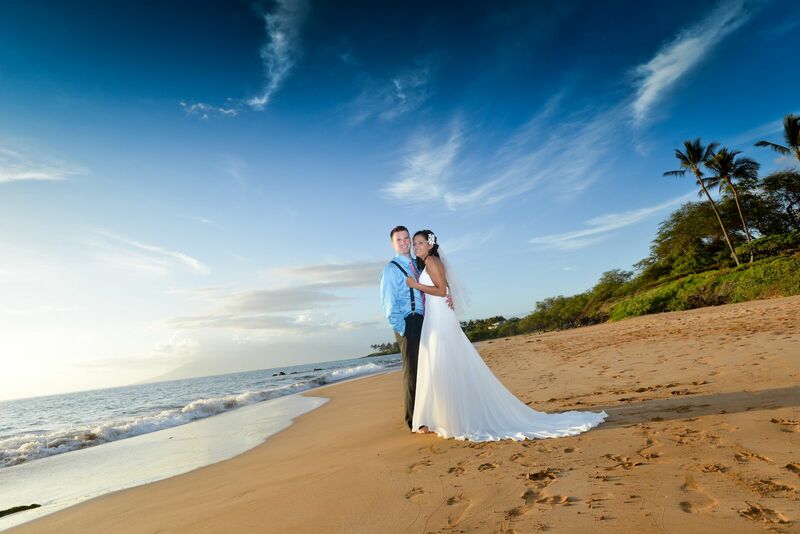 Kona weddings, up country destination weddings in Kamuela/ Waimea are very popular. And of course the lush green Hamakua Coast with its endless waterfalls and with our romantic city Hilo. 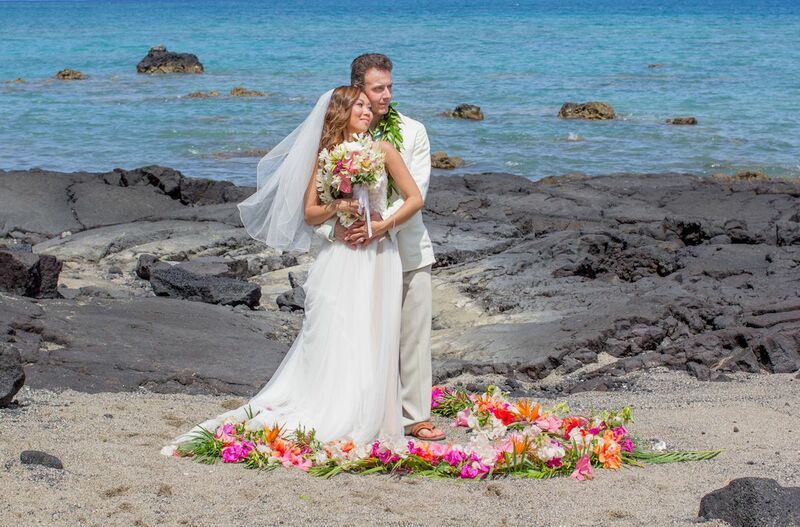 In Hilo you find amazing parks, beautiful lave rock bays with sand and crystal clear waters for a secluded private wedding ceremony. 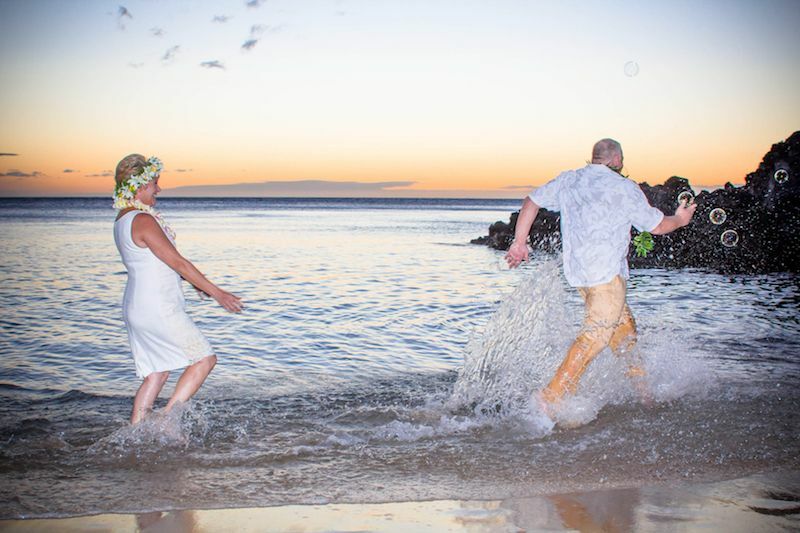 We believe that a ceremony for the two of you should be always stress-free, romantic, fun and affordable! 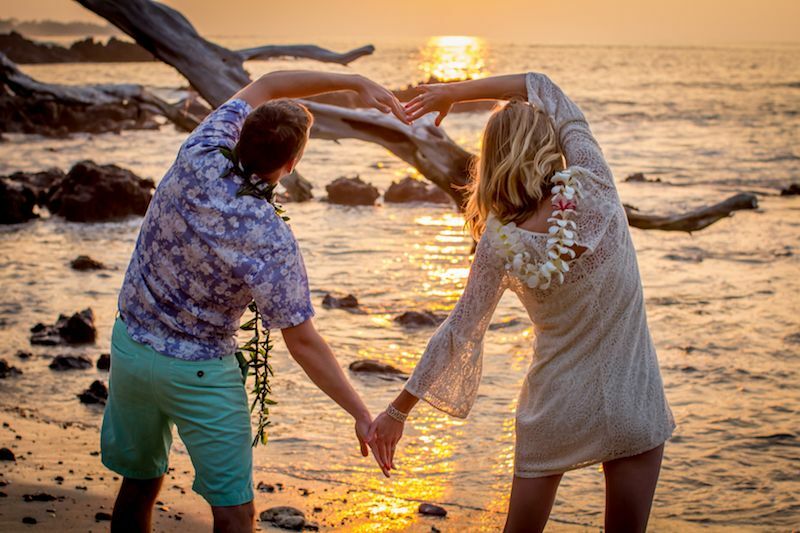 You do not need to stretch your budget to say "I love you" on Hawaii's Big Island. 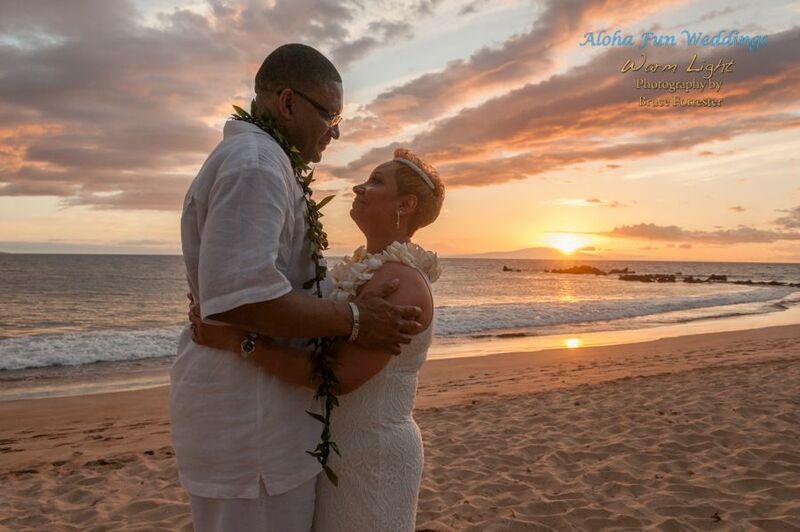 Escape the masses and make your reservation for a beautiful wedding or vow renewal on the Big Island! The Big Island has incredible beautiful beaches, some with beautiful sands (white, black, green, about 100 beaches, which of some are considered to be some of the most beautiful in all Hawaii). 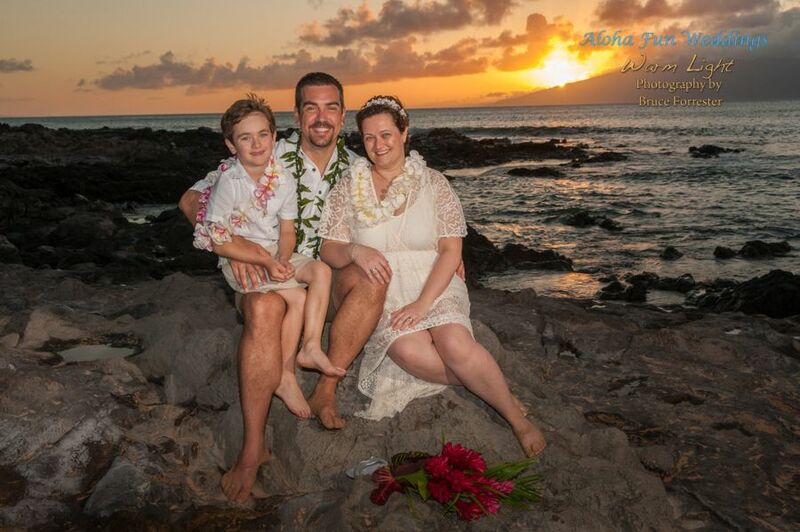 Many have sandy shores mixed with lava rock formations and crystal clear blue waters. 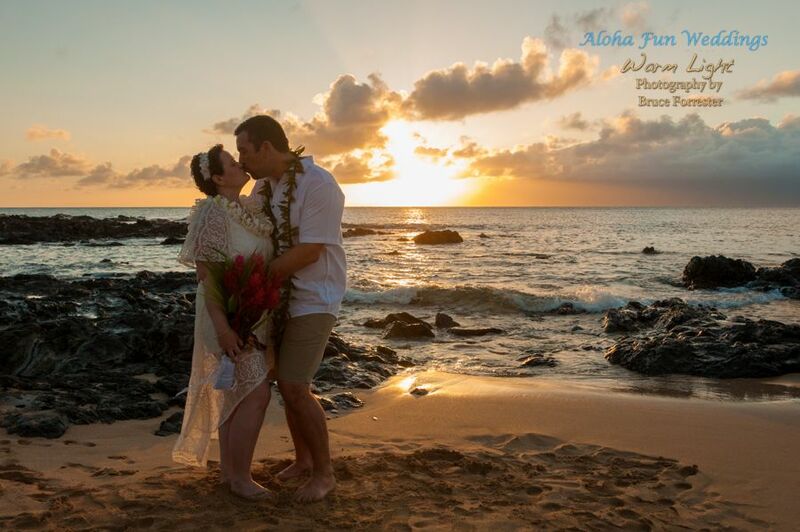 These beaches are never overcrowded and are the perfect setting for your private and personal Big Island beach wedding ceremony or Big Island vow renewal! 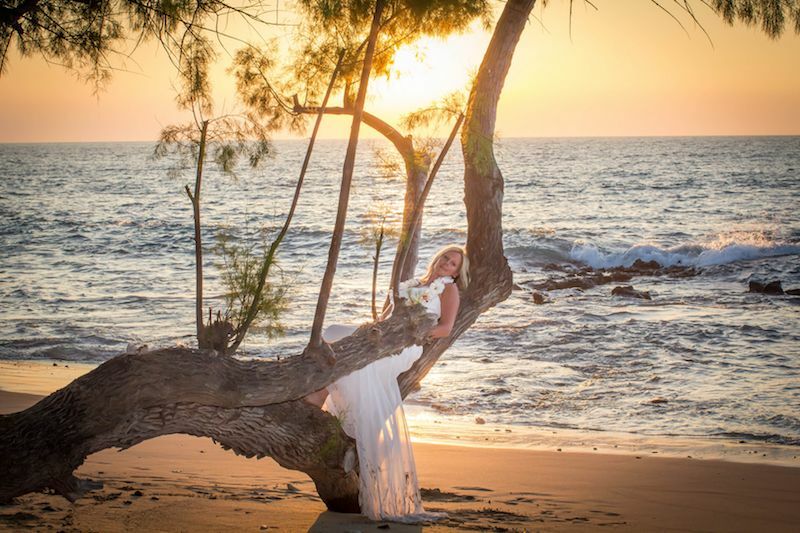 Whatever your dream location might be, we are sure we will be able to accommodate you and make your Big Island wedding dreams come true! 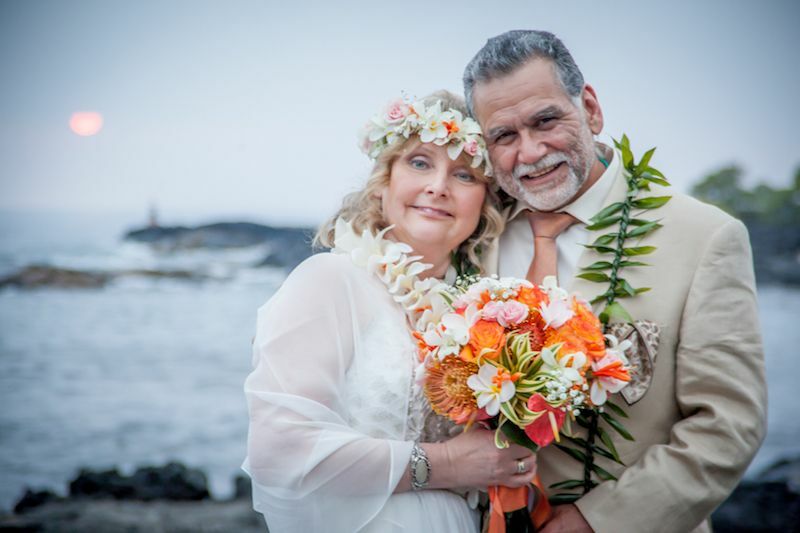 Contact us now and book your Big Island Wedding Ceremony or Vow Renewal.